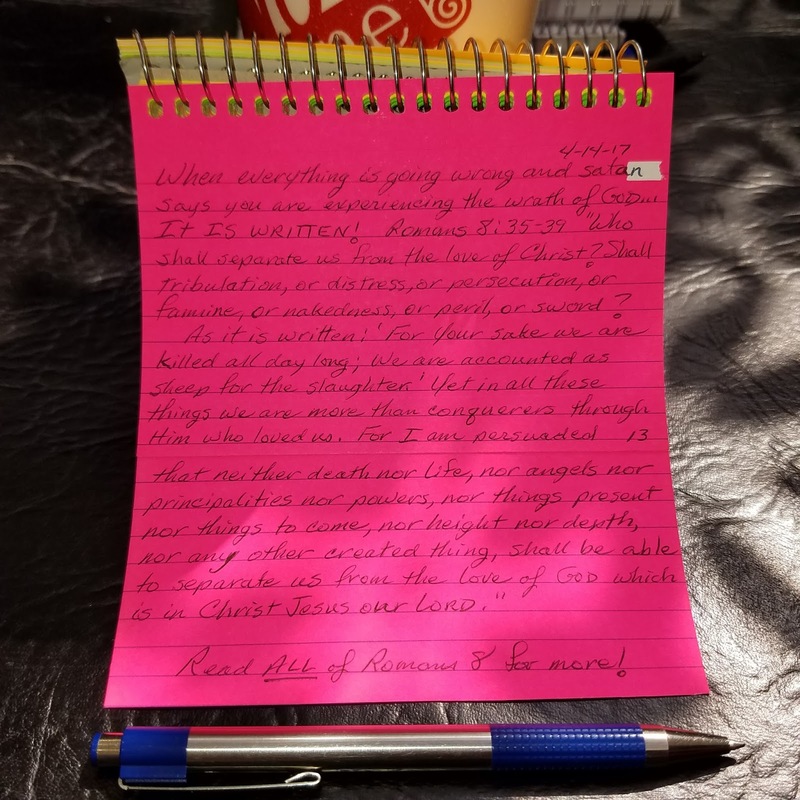 It does not matter if you believe what is written in the Bible or not. It does not change it one bit. It is what it is. It's GOD's written Word, it's HIS testimony, it's HIS revelation of Himself to you. Your reaction to it merely reveals whether you believe He is telling the truth or telling a lie. Once you allow a tiny mustard seed of faith to take root in your spirit it will open up all the scriptures and sprout more faith into life eternal. If however you listen to any of the lies that satan whispers in your mind about the Word and entertain the thought that anything in the Bible is untrue, you have planted a seed of unbelief which will sprout into confusion due to the blinding of your eyes of understanding. This seed will sprout distrust and unbelief and eternal death. Remember: Just ONE piece of pollution corrupts the whole thing. He who has ears to hear, eyes to see, and a heart to perceive. We are all 3 parts: we have a physical body, we have a mind that contains our thoughts, will, and emotions, and a spirit. One way to think about it is the body is the temple, the soul is the mind, and the spirit is our heart. Our ability to hear the Word, see the connections, perceive and understand the complete picture, is not with our physical body or brain, but with our spirit. It is not a matter of your effort or your intellect. When we are physically born our spirit is not able to comprehend spiritual truths. Only the Holy Spirit can do that for you when you submit yourself to the lordship of Jesus Christ. Only the Holy Spirit can convince a person of their unbelief or sin. Only the Holy Spirit can create in you a new spirit. Before we came to this place, we could hear the Gospel message and it wouldn’t make any sense. So we ignored it. We pushed it out of our thoughts. Maybe we would go to Sunday School or church or even try to read the Bible. None of it added up. That’s why so many critics of the Bible and even theologians claim that the Bible cannot be true. It’s because of our unenlightened hearts that we cannot really understand all of it. Our spiritual ears are deaf. Our spiritual eyes are blind. Our spirit is in a state of death, the Adamic nature. Have you ever met people who said they’ve read the Bible several times? Or taken theology classes in college? (Nicodemus was a renowned rabbi of the day.) They say they’ve done everything and more to understand and yet still haven’t connected with the LORD. Does GOD hate them? No, but they think so. Or maybe they have a sin in their life that they cannot accept is a sin. They’ve read the Bible, go to church, yet cannot accept the fact that what they are doing is wrong, it grieves the heart of GOD. They cannot accept that a Holy and Loving GOD could be so strict and one-sided, when really He loves them and wants what is best for them. It’s like they are blinded and deaf. There are people out there who claim to be saved, yet believe church doctrine and traditions over the Word of GOD. They haven’t read the Bible nor do they plan to. Even if they did read it, it would be filtered through what they have been told it says or means. Some churches exclude whole portions of scripture because it doesn’t fit with their theology. There are over 40,000+ different denominations now. There are over 50 English translations of the Bible to choose from. That’s not counting all the international languages that have been translated. But be careful. Just because it is easier to understand doesn’t mean it was translated correctly. Even some of the oldest English translations have a few flaws in them. Some of the newer translations exclude language that they deem “hateful” or “strong” or “divisive.” Some lose the flavor of the original and lose the emotion of the heart of GOD that way. When you have 40,000+ denominations you have division. GOD is not divided, so this is to our shame. What we are trying to do is find points where we can all agree, compromise what we might believe so that those who don’t agree can “belong” as well. When you do that you polute the original Word, you turn the truth into a lie. (Remember it only takes one germ to create a plague.) GOD’s Word is true and everything else is a lie. So who is the liar? The Father of all lies is satan. His only goal in life is to lead us away from the truth, the whole truth or any part of the truth. We don’t have access to the original documents however the Jewish people have been meticulous in copying the scrolls down through the ages. Not only that, but I can’t translate the original Hebrew, and I doubt many people can. It’s not that we are such awful orators or debaters. It’s not that we are such bad witnesses that we cannot reach the lost and convince them of the Gospel. We could all be totally logical and wonderfully educated and vocal and have the whole Bible memorized so that we could always quote the relevant scriptures. To be saved by logic is to not be saved at all. Let that sink in. Logic will never save anyone. We never saved anyone. The Holy Spirit is the one who comes and opens their ears to they can hear and opens their eyes of understanding and then their hearts are changed! satan will always try to hinder the Gospel because it is death to him. He hates us because we who believe have been adopted into the Family of GOD and are joint heirs with Christ. He will try to stop up the ears of non-believers so they cannot even hear the words of life. He screws up their logic so that it accomplishes what he wants. He blinds the eyes of their understanding so that they cannot understand the implications of those words. In other words, the Bible will not make any sense to them at all. They will think GOD is hateful and only wants our subservience. He sits up there and counts our sins and we have to work for our salvation, and on and on and on . . .
satan lets you hear his accusations like “You’re not good enough and you’ll NEVER be good enough to be saved!” “These are all lies, there is no GOD so go ahead and enjoy yourself.” “At least in hell you’ll be with all your friends.” “You’re in the group of goats that Jesus is sending to hell.” satan will never let you have any peace. He never shuts up. And that’s where Praise and Worship come in. He can’t stand the name of Jesus and when you praise and worship the Jesus and call on His name, satan has to flee! So what am I trying to say? GOD loves everyone with an unconditional love. He hates sin and sinful acts. No one is perfect, we are all sinners, however the punishment for all our sins was nailed to the cross by Jesus. He has forgiven us and cast our sins away. But you have to believe! You have to acknowledge that you’ve sinned. And you have to change your ways. You have to ask Jesus to forgive you for your rebellious thinking and your sins. You have to spend time in having conversations with the LORD so that you can grow and the best way to do that is to read the Bible and wait for Him to speak. That’s the Gospel! That’s the Good News! That is life eternal and full of Glory! satan will do his level best to try to keep the unbeliever from hearing the Good News. “If it sounds too good to be true, it must not be.” Ever heard that before? We must do spiritual warfare on their behalf because they are innocent victims. If they’ve spoken badly to you, remember, they are just parroting what satan has whispered in their ears. And then forgive them! They really don’t know any better. We must Praise and Worship the LORD, believe in His great love and provision, and bind satan from our friends, children, other family, acquaintances, government officials, the police, the firemen, teachers, parents, everyone! The unsaved are future saints, folks. In GOD’s timeline they already are saints. We must join with the LORD’s will and pray that Jesus will open the ears of the unsaved and open the eyes of their understanding and give them a new heart to understand the things of GOD. Pray that in the Holy Name of Jesus satan would be bound and powerless in the life of ____________ (you fill it in). And that the Holy Spirit of GOD would have free access to their hearts and minds to speak the words of Life to them. That GOD’s overwhelming presence would overtake them and love them into the Kingdom! That we would be courageous to love them in spite of how they may treat us. 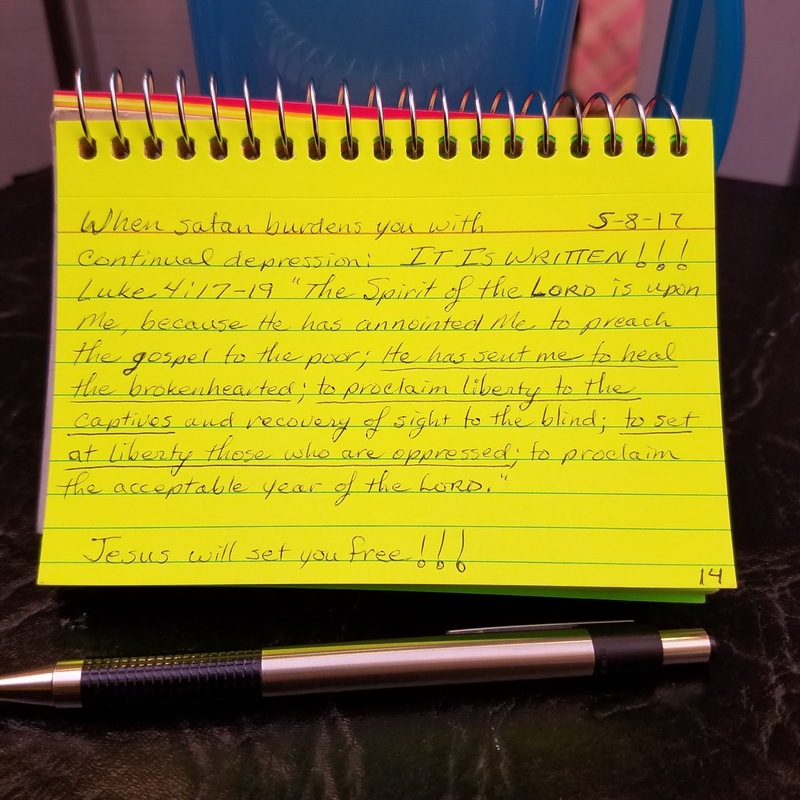 That GOD’s will would be done and that His Kingdom would come! Our best witness is love, servitude, and sharing the testimony of what Jesus has done in our lives, not preaching at them. The Holy Spirit is the one who explains it to their hearts. We can talk and talk and talk about the Gospel and GOD’s great love and forgiveness of sins, but they will never understand anything unless the Holy Spirit comes and speaks to their hearts. You wonder how all the puzzle pieces fell in place when you received that light-bulb moment? It was GOD Himself speaking to your heart. That is why it is so important to keep the message true, short, and heartfelt. And let the Holy Spirit do the rest! You prepare yourself with faith, prayer, and fasting to let GOD the Father, Jesus the Son, and the Holy Spirit work in them and speak the Truth to their hearts. We plant the seeds, and the Holy Spirit makes it all fit together. This is a joint mission, and the Harvest is the LORD’s! NKJV: Scripture taken from the New King James Version®. Copyright © 1982 by Thomas Nelson. Used by permission. All rights reserved. AMP: Copyright © 2015 by the Lockman Foundation, La Habra, CA 90631. All rights reserved. Have you ever heard the expression, “Putting GOD in a box”? It means in your efforts to understand who and what GOD is you explain Him using your own logic, society, customs, anything you are familiar with rather than what or who He really is. For example: God is holy. Simple, huh? Or: GOD is sinless. He is pure. He is love. He is forgiving. All these things only demand more questions. What does being holy mean? Does He exist outside of what we consider right and wrong or is He bound by it? What is purity? Or, pure what? Does that mean He is clean or covered in dirt? Does He just love good people or all people? Does He love animals, pets, or wild things? Does He love big animals or microscopic animals? Does He love bacteria and viruses? Does He love the universe, the galaxies, the stars, the planets, the nebula, the asteroids, or the comets? He doesn’t fit into any of these boxes. Scripture tells us that GOD created this whole existence with His spoken word. Scientists have discovered that the universe vibrates. Everything in it vibrates with its own frequency. Now, there would not be any vibration without there being a sound. Not only that, it is expanding. But the expansion is slowing down. They have ascertained that there most certainly was a starting point and there will be an end. His spoken Word holds the very atoms of our existence together because the atoms are not magnetically balanced and the scientists cannot figure out what holds them together. Scripture records that the very presence of GOD on earth created fire and smoke, huge explosions, earthquakes, lightning, and loud thunderings. 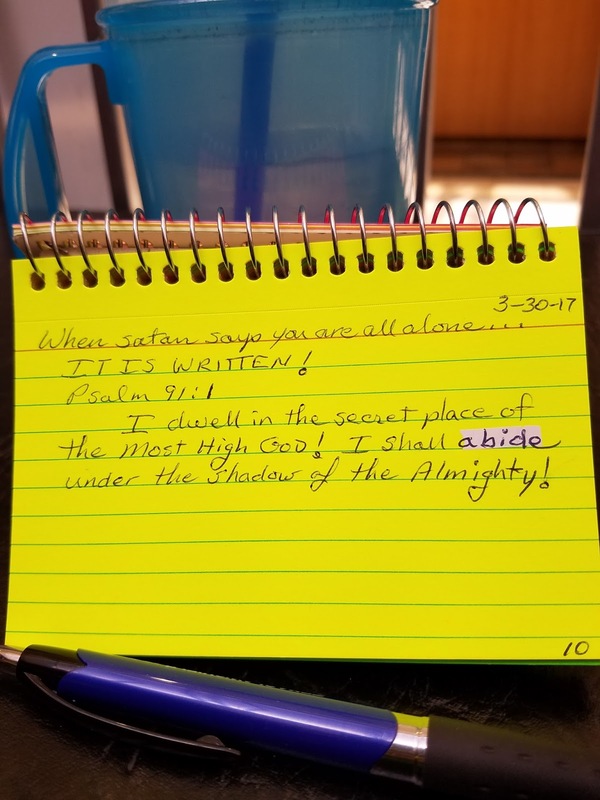 He is so Holy His presence vaporizes our atmosphere. So what kind of a box can you put that in? How can you stand in the presence of this Holy and All-Powerful Being and tell Him He is too strict, unloving, detached, and not modern enough? Did He not create the human body? Do you have a heartbeat? Did He not give you a brain and all your intellect, your logic, your right to choose what you think and what actions you might do? Do you have air to breathe? Do you have food and water? Aren’t all your needs met? What kind of a box can you put GOD in? It’s funny that the box that people put Him in is directly related to what they have chosen not to give in to Him about. You don’t like churches? You probably complain about how greedy they are and how all the people are hypocrites. So you don’t go to church. You don’t like to read the Bible. You’ll complain that it doesn’t make any sense to you or it’s not relevant to today’s modern society. You don’t like the rules? You’ll say they have been done away with so you do whatever you want to do. And on and on and on . . . It doesn’t matter how much you complain or what you complain about: it doesn’t change GOD or even touch Him. Anytime you think about GOD the Father, Jesus Christ, or the Holy Spirit and shape Him into what you or your church thinks He is instead of accepting the Scriptures that you can read for yourself, you are putting Him into a box that you created. You are blinded to the truth by yourself. GOD is so much more! Why limit Him? He is EVERYTHING WE and this earth NEEDS. These are the ones who do not take advantage of GOD’s forgiveness mentioned a few words before. This is who GOD is! His name says it all! Sin is the conscious decision to do something or not to do something that GOD Almighty said not to do or to do. It is the decision on our part to not live in the way He said was best for us. We choose our own path because we want to live our lives the way that makes us happiest, and that way doesn’t include the GOD who made us. People say Jesus did away with the Law. They want to pick and choose what they call the Law. For the most part people still follow the 10 Commandments. However, adulterers leave out the 7th commandment. Thieves leave out the 8th. The Catholic Church leaves out the 2nd commandment totally. That is not what Jesus said. He said He came to fulfill the Law. If you loved Him you would follow His commandments. His interpretation of the Law was stricter than what was actually stated by it. Read Matthew chapters 5 and 6 for the full details. There was a code of conduct a long time before the LORD gave Moses the 10 Commandments or the whole Law. And if you read the scriptures, most of what the people call the Law dealt with temple worship. Ever since the 2nd Temple was destroyed by the Romans, there are no temple sacrifices. There was one rule in the Garden of Eden: Don’t eat from the Tree of the Knowledge of Good and Evil. There was no such rule about the Tree of Eternal Life. Yet Adam and Eve never ate from that tree. Why not? Because this is where satan comes in. He wants to separate us from GOD Almighty any which way he can. That is sin, separating yourself from the One Person who loves you and wants the very best for you, but you prefer your own way. It’s choosing your own pleasures over His instruction. It’s called ‘hedonism’: the doctrine that pleasure or happiness is the sole or chief good in life. Why do we do this? Adam and Eve had an eye-to-eye, one on one relationship with GOD. They walked with Him and talked with Him. Life was perfect. They had all the food they could possibly want. They had a relationship with all the animals on earth, none of which were meat eaters at this point. How great it must have been to be able to pet lions and tigers and bears. Oh my! satan awoke something in Eve: 1.) 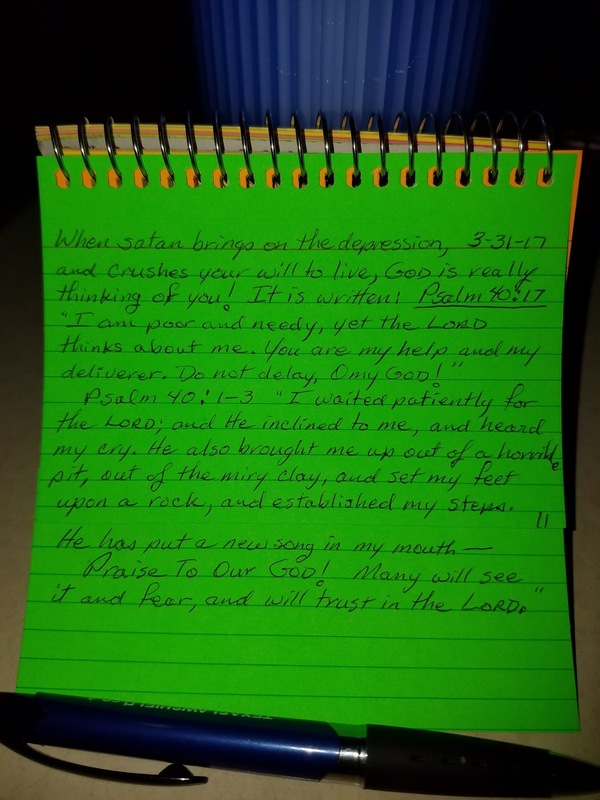 doubt in GOD: “Did GOD really say . . .” and 2.) human ambition: “. . because He knows that as soon as you eat from this tree you will be just like gods yourself.” In other words, our choices would be just as wise and important as GOD’s. We wouldn’t need Him anymore. Besides, He’s not really interested in us having fun now, is He? Why shouldn’t we do this or that or the other? Why shouldn’t we be allowed to make up our own minds? Because it separates us from GOD. GOD says, “‘For My thoughts are not your thoughts, nor are your ways My ways,’ declares the LORD. ‘For as the heavens are higher than the earth, so are my ways higher than your ways, and My thoughts higher than your thoughts.’” Isaiah 55:8-9 (AMP) In other words, we don’t know everything and cannot begin to judge what is best and what is not. It is kind of like the comparison of parents to a two year old. No matter how smart they have the potential to be, they do not have our life-earned knowledge. They have no idea what the consequences of their actions can be or will be. Of course GOD is infinitely above and beyond us. A long time before the Law was given at Mt. Sinai people knew not to murder (look at what happened to Cain), or to steal, or many other things. All this was handed down from Adam’s wisdom from what he learned. Yet look at what happened to the human race. They did whatever they wanted because they chose their pleasure over GOD’s ways. Yes, satan had a hand in all this. Fallen angels came and took human females and gave rise to the giants of old. Do not tell me that they did not spread their satanic philosophies, you know they did. Those philosophies haunt us even today. The realm of evil is extremely active in our time because they know their time is short. Most Christians are totally ignorant of just how short our time is. b) The two Greek terms translated by this phrase refer to the passive and active partners in consensual homosexual acts. I love all my friends and acquaintances. But I’m not here to make you feel good about yourself. I’m not here to please you. I’m here to do GOD’s will whatever He tasks me. I’m here to serve GOD. I’m not doing you any favors if I’m teaching you to gloss over your sins. I’m being hateful if I do not warn you about the trouble you’re in. I love each and every one of you, I want to see you in Heaven! I’ve met too many people that want to do what they want to and accuse the people that are trying to help them as haters. Let me be so bold as to point something out. You’re attacking the messenger. You say I don’t love you? Let me ask a question. If I saw you crossing the street and I also saw a bus careening out of control going to run over you and I break your arm pulling you to safety, does that make me a hater? Why would I risk my life to save you if I didn’t love you? I wouldn’t go through all this trouble if I didn’t love you. Yes, the Word of GOD will challenge what you think you believe. It will make you really uncomfortable. It is because GOD needs to get your attention. He loves you with an infinite love that knows no bounds. It’s not a typical love like you normally think of. It’s a supernatural love. One that GOD imparts. One that breaks my heart for people I barely know. I wake up at strange hours at night with prayer on my mind. And I cry every time you call me a hater. But I take heart because they called Jesus, GOD in the flesh, a hater too. The Creator from Genesis! And He still died for us! Now, THAT’S LOVE! You see, He set up the Law, the one you said He did away with. Why would He break His Word for any reason or time? Is it okay to kill? Is it okay to steal? Is it okay to commit adultery? No? Why? You see, the Law is still here. 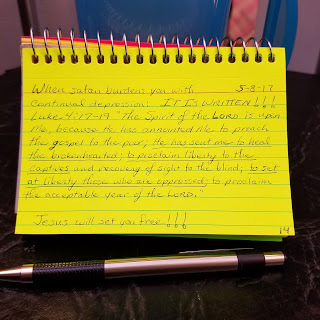 He fulfilled the temple worship laws because He is the Lamb of GOD, and gave Himself on the cross as the Perfect Sacrifice ending all future sacrifices because none of those gave us eternal life, He did. You just say there is no Law because you do not want to change your ways. You do not like conviction. You do not like your conscience because that is GOD’s voice trying to tell you something. Don’t you know that if you would just acknowledge your sin and change your ways and ask Jesus to forgive you that He is faithful and just to do just that and heal you too? Everything is a choice. Choose Life! Science says there are 5 senses: touch, sight, hearing, smell, and taste. Some research has been able to identify more: sense of temperature, balance, pain, body awareness, and others. Although science has not officially made those 'senses' per se. But nearly all people's groups or cultures recognize animals and humans have one more that tends to stand out and it is quite controversial. It is what some call the '6th sense'. Because it is elusive, hard to pin down, strong in some and not in others, hard to define or categorically prove it's existence, science ignores it and leaves it for the fringe to deal with. It has been called: intuition, the Third Eye, ESO, your conscience, prophecy, premonitions, sense of GOD or spiritual beings. Now, all of these explanations have mostly been used by people and organizations with a non-christian viewpoint such as ghosts and paranormal activity. As Christians we know that ghosts do not exist but are in reality demons impersonating loved ones in order to confuse people as to GOD's real intentions or even His very existence. Scripture is clear to admonish us to stay away from such things. Seeking someone to connect you with the dead is expressly forbidden. Fortune tellers, horoscopes, and the zodiac are all abominations to GOD because they lead you away from seeking GOD's plans and GOD's wisdom and GOD's presence. We also know from Scripture that once a man dies he goes to judgement. That being said, we also know the spiritual realm is teaming with angels, demons, fallen angels, and of course, GOD, Jesus, and the Holy Spirit. Animals and humans sometimes react to people because of what they 'sense' about them. You might get 'good' vibes from some and 'creepy' or 'bad' vibes from others. We get the 'feeling' that a person cannot be trusted or is in some way 'dangerous'. GOD is the creator of all things by His spoken Word (John 1:3). He created humanity through Adam by forming Adam with His very own hands. (Genesis 2:7). Humanity is GOD's signature creation. Indeed this whole universe was created just for us. Out of all the senses He gave us He wanted us to be AWARE OF HIM. All creation declares the Glory of GOD (Psalm 19:1, Romans 1:20). We can see the beautiful landscapes and oceans and rivers, and stars and galaxies and nebulas. We can hear the birds, speak to each other, and especially hear the laughter of our children. We are comforted by the loving touch of another person. We can smell the beautiful flora, the greenery, the rain, etc. We can taste all the variety of food that is grown, the honey from the beehive, herbs, and meat for our nourishment. But GOD is Spirit, not of our plane of reality. He is not made from atoms or forces of energy. He is not physically perceived by our scientifically approved senses. Yet we perceive that there has to be more to this existence besides what we can see, taste, hear, touch and smell. 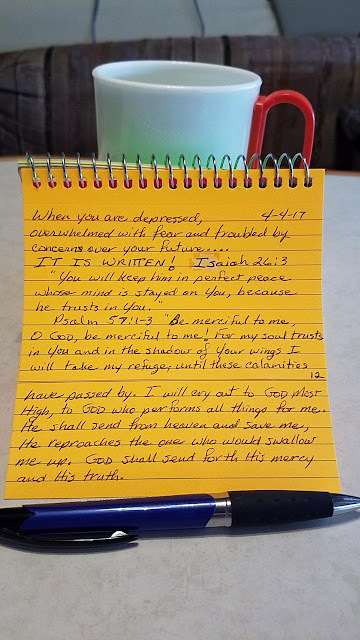 How many long nights have you poured out your heart to Him, telling Him about your day, praising Him for happiness and crying out to Him because of your pain? Even athiests have cried out, "Oh GOD, save me!" with their last breath. This is more than a sense of GOD, it is an instinct that He has given us. Just as surely as the geese and butterflies and hummingbirds migrate safely across whole continents and back again, or the salmon returning to the specific place of their birth to spawn again, or the suffering servant who lifts his eyes to the heavens and says, "My LORD and My GOD! How awesome are Your works! How unsearchable is Your wisdom! Your love knows no bounds! Blessed be Your name!" Out of all creation GOD gave humanity the ability to think, to reason, to use logic, and a free will to choose his actions. Only humanity has the capability of choosing how to act. Only humanity can sense right from wrong. Only humanity has a conscience. All creation declares the Glory of GOD but humanity is here to witness it and pursue the thought, "Show Yourself to me, LORD. I want to see You!" Savor it like a fine wine. Let it move you to tears. Sit in silence, wait for Him to speak. Let Him change you by His Word. When you read something that reminds you of someone, pray right there GOD's Word over them, because you know He is right there to perform His Word for them. 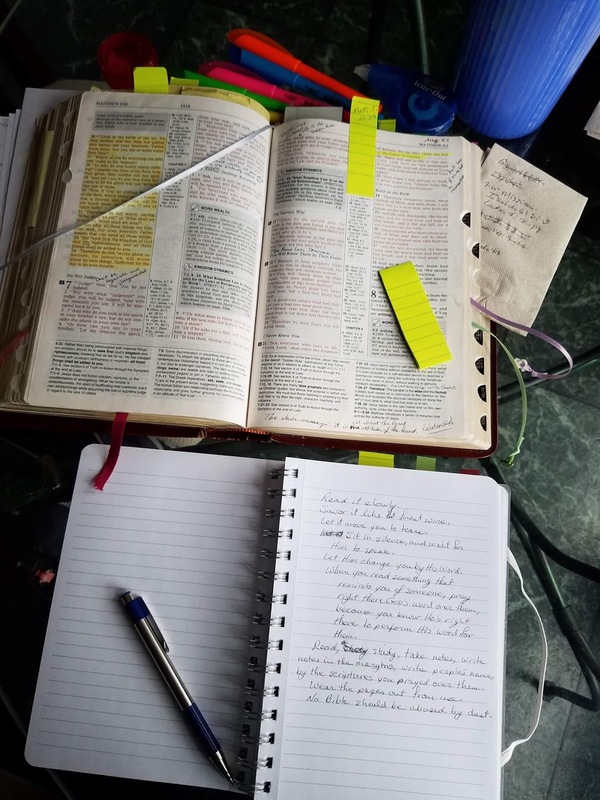 Read, study, meditate, take notes, write notes in the margins, write people's names by the scriptures you prayed over them. Wear the pages out from use. No Bible should be abused by dust. In this life there are and will be troubles. No one who is alive, rich, or poor is immune from them. Even to those who have given themselves to Jesus. satan has Christians and Jews particularly in his sites. So many Christians lose their hope, their faith, when troubles come because GOD may tarry responding to their cries. Let me say this: GOD is not your magic wand. He is sovereign. He will answer yes or no (sometimes it is "No") in His own timing and for His glory and for the sake of His eternal plans. "We are hard-pressed on every side, yet not crushed; we are perplexed, but not in despair; persecuted, but not forsaken; struck down, but not destroyed-always carrying about in the body the dying of the Lord Jesus, that the life of Jesus also may be manifested in our body." And delivers them out of all their troubles." And does not despise His prisoners." But He hears the prayer of the righteous." ". . .that you may be sons of your Father in heaven; for He makes His sun rise on the evil and on the good, and sends rain on the just and on the unjust." In these days of grace and until Jesus returns, He sends the rain, blessings, on the just and the unjust. The believer and the unbeliever. The deserving and the undeserving. The people you like and those you don't. Just like Moses, what we need instead of wealth, medical institutions, self-importance, or positive thinking is the manifest presence of GOD and obedience to Him. So how do you come into the presence of GOD? By humbling yourself before Him, realizing that you need a miracle and there is absolutely nothing in this world that can give you that, only GOD Himself. Ask Him to forgive your sins: the ones you know about and the ones you don't. Ask Him to cover you with the saving blood shed by Jesus the Messiah. And then walk in and have a CONVERSATION with Him. You may not be used to that but it's just like talking to your friends. You say something and then you listen. For me it is usually a thought that comes with complete understanding. Sometimes it's like me taking dictation which is how most of my posts go. Sometimes He places people on my mind to pray for because they have this same problem. He also answers prayers and we do not realize it. Many times the answer is on the way before we ever pray. Sometimes the answer is "No". Just pure and simple. Sometimes I feel His arms around me and sometimes there is a warmth of comfort. Sometimes He doesn't respond. That's His choice. At times like that I know I need to wait, pray some more, and study the Word some more because I need to learn something first. One thing I know from reading the Word and from experience is that GOD hears every prayer of a sincere heart from His child. Censorship should not be allowed in America. EVERYONE is entitled to their own thoughts and their own speech. There are all kinds of jerks out there that really are cruel and crude. But then there are also all kinds of people who get truly upset at the drop of a pin. In life there are all sorts of extremes. There are also incredible acts of kindness and love for mankind and animalkind and the earth and air and space. Life is beautiful . . . And messy. You can't please everybody all the time. You will lose yourself if you try. There are all sorts of religions (and non-religions). There are way more religious people on this earth than there are non-religious. To us religious people, our spiritual beliefs are paramount. We are more concerned with what our GOD thinks than what society thinks. We cannot excuse bad behavior, but we also cannot blame the rest of society for the abysmal behavior on a few, or one. We need to bring up our children with better moral judgement and acceptance. That being said, there is a spirit coming over all humanity the world over that wants only their voice and philosophy to be heard and all opposition to be silenced. If you are muslim, you want everyone else silenced. If you are black, you want everyone else silenced. If you are liberal, you want every one else silenced. If you are progressive, you want everyone else silenced. If you are anti-gun you want everyone else silenced. If you are pro-gun, you want everyone else silenced. There are over 42,000 different christian denominations and each one thinks they are right and everyone else is wrong. Jews dislike christians (in general, not totally) and vice-versa for christans about Jews (again, not all the time). You build walls or fences around your property to keep the neighbors and their dogs out of your yard. It doesn't matter what you are thinking, someone out there disagrees with it. And it's getting out of hand. Whatever happened to active conversations and agreement to disagree agreeably? The spirit that is enveloping the earth right now is not only unfriendly but it's getting angrier. It demands submission. It demands reparations. There are as many points of views as there are people on this earth. So who decides whose voice is tolerated and whose voice is not? Whose philosophy is tolerated and whose philosophy is not? Are the powers to be so overwhelmed by this decision that they have to relegate this decision to an unfeeling computer program? But a computer program is written by a mere human being. This is a decision that only a god would be qualified to implement. "We hold these truths to be self-evident, that all men are created equal, that they are endowed by their Creator with certain unalienable Rights, that among these are Life, Liberty and the pursuit of Happiness.— That to secure these rights, Governments are instituted among Men, deriving their just powers from the consent of the governed,— That whenever any Form of Government becomes destructive of these ends, it is the Right of the People to alter or to abolish it, and to institute new Government, laying its foundation on such principles and organizing its powers in such form, as to them shall seem most likely to effect their Safety and Happiness." On this earth are currently (or close to) 7 billion people. And one thing we all have in common is the sovereignty of each of our individual personages. There is not one person or group of people that has the right to tell everybody else what to think, say, or do forcefully. Censorship is forced compliance. Facebook is trying to say they know what is good for everybody by denying the rights of others. It is an impossible conundrum. No matter what they disallow they are squelching somebody's rights. If you don't like the post you are reading, you have the right to ignore it. But you have the control. To get angry and cause someone else to lose their right of expression is tantamount to murder. Think about it: you are silencing a sentient human being. If you cannot contain yourself and act with self-control you cause the situation where Facebook and every other agency feels compelled to take over and tell ALL OF US, INCLUDING YOU, what to think and say and do. I would hope that Facebook and others et al would seriously reconsider this censorship idea. No matter what is censored, it causes free thought and free expression to die. Hello again. I have taken a years sabbatical. A lot has been going on and I needed the time off. This morning I received a clear word from the LORD and I am sharing it with you. I was thinking about how the Holy Spirit moves now as compared to the late 60’s and 70’s. I was born again in January, 1973. Although I was raised Catholic, I had always wanted a Relationship with GOD, not a formula, or rituals, to accomplish that. I felt so empty. I loved reading the Bible, and in those pages I felt so much closer to Him than anywhere else. When my husband and I started attending a small independent fellowship in 1972, I immediately felt Home. People did such strange things. They had some guitars and some drums and a little keyboard and sang songs that didn’t come from a hymnbook, but were written from the hearts of contemporary believers and songwriters. The music flowed with the vocal worship of the congregation. Fast, slow, slower still. Until the music became like a river flowing in the forest, melodious, and peaceful. Then the Spirit came. You could feel Him. It was like a cloud that descended and you could breath it in. You could hardly stand. Some people didn’t. Some fell on their knees and some fell prostrate. Some fell backwards, but they didn’t hurt themselves. They looked unconscious except for this amazing look of peace and joy on their faces. And then this most amazing worship began. People sang, each their own song, in strange languages in flowing melodies. It was loud and then quiet and then stronger and then fading out again. And it all flowed together in a beautiful harmony. It was like fishing in the ocean: ebb and flow, ebb and flow. The people worshipping the King from their most innermost beings in heavenly languages only the Spirit knew, because He was the author of it all. Then the pastor asked for anyone to come forward for prayer for healing or whatever they needed. Colds were healed. Flu was healed. Cancers were healed. Relationships were healed. People got jobs, salvation, it didn’t matter what they needed, He provided. EVERYONE RECEIVED SOMETHING!!!! It took most of the service for all this, the pastor hasn’t even had a sermon yet! As a matter of fact, I don’t recall what his sermons were specifically. It was always simple, some scripture, and always explained that Jesus wanted a relationship with you and if you would just decide to give your life to Him, to be born again, He would come and live in your heart and lead you into all truth. I knew that I had come home. I gave my life to Him and began a most supernatural journey. It was hard to leave the building from those services. The Spirit stayed through the whole time. We all stayed because of the atmosphere of the Spirit and fellowshipped afterwards sometimes for hours. The evening service started at 6 pm and we didn’t leave sometimes until 1 or 2 am. Homeless people, drunks, and who knows what would come in for prayer. I saw many people instantly sober. We laid hands on them and they’d get healed. I saw most of them had lice and fleas but we never got infected. We prayed, we worshipped, and Jesus moved. He was there. And we didn’t want to leave. I’ve been thinking for a long time about how church services have changed in these modern times. Most articles that I have read recently are highly critical of them. I find myself agreeing with them. There are coffee shops in the foyer where you can get a cup of coffee and a pastry to eat before the services or take it into the sanctuary with you. The music and worship service is so loud and ‘in your face’ it’s like going to a rock concert where you are entertained instead of enveloped by the Spirit. The Spirit doesn’t fall or come in the cloud like before. You don’t feel anything. Three or four songs and it’s time to move on to the next thing. Services are scripted, everything comes in a particular order like a business meeting. There are rarely altar calls for repentance or healing, or prayer. There are people up front and you go to them for prayer. It may be more personal but totally bypasses getting on your knees at an altar having a one-to-one with Jesus. 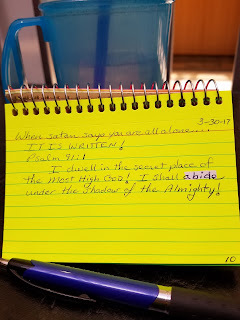 Indeed, there are no altars to go to! And at the end, there is a stampede to leave, and you have done your duty for the week. But this morning in my private time with Him, GOD came and explained some things. We need to get rid of our critical spirits. Everything has certainly changed. But everything is still the same. There is a revival coming. The youth are going to start it just like my generation brought that last revival. They are questioning, wanting more, wanting a relationship with the King of kings. The Holy Spirit speaks to the heart. He speaks to hearts that are seeking and hearts that are open, and hearts that are submitted. He speaks to the old, the young, and all the whosoever’s in between. He is not limited to our likes and dislikes. There is no generational gap with Him. When we were young, we were slightly (maybe more) offensive to our elders, were we not? Our music was radical in the 60’s and 70’s too. This generation’s music will be one that they can relate to, not us old codgers. But know this, the Spirit of GOD is coming, speaking to willing hearts. He is coming and it will be Glorious! He knows how to speak to hearts that are open like new flowers in spring. There has been and always will be a remnant that He can use for His Glory. Sing ‘Hallelujah’ and ‘Holy, Holy, Holy is the LORD of Hosts’ and worship in the Spirit and truth. Be joyful and wait on the LORD. Drop your critical spirits and thank Him for His wisdom and His timing. His message will never change, but He speaks all languages even if it is ‘modern’. Rejoice! I had some people come by the simulator one time over in Columbia, Missouri. They were obviously trying to talk to me about religion, however, I had that little twinge the Lord gives you when things just aren't what they seem. After some time they kind of looked a little exasperated because I don't think I was giving them the answers they wanted for some reason. Then they asked me, "Do you know who Jesus is?" That's when the Lord took over. I said, "Oh, yes, I do! He's my constant companion. 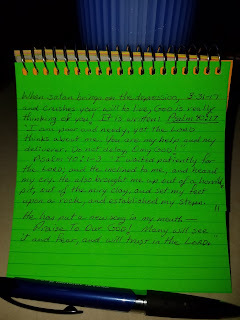 He is the Great I AM! He is the King of all kings and Lord of all lords. He died on the cross just for me. He has healed me numerous times and saved me from all evil. He walks with me and guides my way. He is my sun by day and my moon by night. He gives me light and understanding 24 hours a day. His Word is my bread and water. He is my very breath. He is my strong tower and refuge in trouble. He is my salvation. His presence is my constant goal. He is my King, my Lord, and my friend. Do you know Him, too?" At this point they had stepped back a little and dropped their teeth on the floor. And just left. I never saw them again. You see, not everyone who say they know Jesus are talking about the true Jesus. We have met so many people from so many different churches and denominations that are in such error and change Jesus to match their theology. And they are blinded to the truth because of that reason. Some actually hate Jews and Israel. Can you believe that? GOD never changes. His covenants are eternal. The Hebrews are His chosen children forever. If GOD can cancel His relationship with His own children, where does that leave you? On very shakey ground. It casts doubt on any of His promises. He is the same yesterday, today, and forever. His Word will never change or return void. You have that solid assurance. We were grafted into the family of GOD, we did NOT replace them. They hate Jews because they killed Jesus. Wait a minute. The people who actually did the 'killing' were Romans acting through the authority from the Jews. Who's religious ideology blinded them. And they all died 2,000 years ago. There is no one left to hate. Also, no one 'killed' Jesus. Jesus laid down His own life willingly to die for us and for the glory of heaven. From the cross Jesus said, "Father, forgive them for they know not what they do." (Luke 23:34) Are you better than GOD to not forgive? If GOD has forgiven them who gives you the right to hold a grudge? The only entity that would benefit from such hate is satan. Do you serve satan or Jesus? Forgive and repent and follow in Jesus' footsteps. Some churches think only people of their church or denomination or theology are going to heaven or are pleasing to GOD. Jesus died on the cross for all people. He is the Savior of the whole human race for all time. We receive this gift through faith. Faith comes by hearing the truth from the Word of GOD. Not some person's interpretation of that Word. You are not saved by someone's watered-down version of what they think GOD is trying to say, GOD speaks for Himself in the Bible. You are saved when the Word, Jesus Himself, comes into your innermost being with the truth. It is a personal relationship with a Living Saviour. Does this sound harsh? How many of you have lost sons or daughters to Islam or Buddhism or cults or satanism? How many of you have lost your children to the liberal agenda by sending them to college and peer pressure made them compromise? GOD was trying to impress on us just how strong the influence of other philosophies and ideologies can be and warn us of the consequences. Christianity itself has become so watered down it is becoming apostate. And the liberal (compromised) world wants to make you feel really, really bad for sticking to your principles by standing true to the Word! It's happening right before our eyes in our own lives! How are you going to stand up to the deception of the antichrist? Again, liberality, diversity, compromise, all sound good until you realize that each one of those things chip away at what you believe. It was satan who asked the question, "Did GOD really say . . .?" That has been the downfall of the human race ever since. You have to have the conviction and the fortitude to say, "Yes! He DID say!" Watch what you expose yourself to. You absorb more than what you think. Read the Bible. GOD will teach you as you go by His Holy Spirit. Let Him interpret His own Word for you. Don't confuse money or possessions or fame or anything for GOD's blessings. A quiet and humble heart and compassionate, peaceful personality are GOD's greatest gifts. Learn From the Great Teacher of GOD's Great Love For Us! Jesus has always been called the ‘Great Teacher’. If you can at least accept that, then you have a chance to learn from His Word, the Bible. The Christian band, Burlap to Cashmere. wrote a song: Basic Instructions Before Leaving Earth, B.I.B.L.E. Such a simple message, but it encompases our whole faith. The Bible is GOD’s instructions to us with stories of actual humans making good and not so good choices in our human sort of way. He has been trying to tell us that without His wisdom and guidance in our lives we are going to make some really bad decisions for ourselves and the human race as a whole. I have always said, and will always repeat, that we must read the Bible, GOD’s written word to us, from Genesis to Revelation if we want to know who GOD is, understand His wisdom, develop a relationship with Him, get spiritual growth, grow stronger in our convictions, you name it. Preachers can preach until their vocal cords give up, tv evangelists will always get richer, people will continue to run around saying “Oh my God! Oh my God! Oh my God!” and the lost will continue to call us hypocrites because we are. We profess to believe in a loving GOD who wants to save the world from ourselves and we keep acting just as lost as the rest of the world because we are. Because we don’t read the instruction manual for life. But we read everything else: history books, romance novels, science reports, newspapers, fiction novels, biographies, facebook, twitter, e-mail, ad nauseum. The rebirth that Jesus talks about is the spiritual rebirth, the opening of the eyes of understanding by the Holy Spirit, the enlightenment, ‘seeing the light’ (the light bulb over your head), the revelation of the truth, wisdom, relationship with GOD. Read this part of John and learn of GOD’s great love for us! Nicodemus said to Him, 'How can these things be possible?' Jesus replied, 'You are a great and well known teacher of Israel, and yet you do not know nor understand these things from Scripture? I assure you and solemnly say to you, we speak only of what we absolutely know and testify about what we have actually seen as eye witnesses, and still you reject our evidence and do not accept our testimony. If I told you earthly things that happen right here on earth and you do not believe, how will you trust and believe Me is I tell you heavenly things? No one has gone up into heaven, but there is One who came down from heaven, the Son of Man whose home is in heaven. Just as Moses lifted up the bronze serpent in the desert (to heal the people), so must the the Son of Man be lifted up so that whoever believes will in Him have eternal life after their physical death and will live forever. For GOD so greatly loved and dearly prized the world (all people) that He gave His One and only begotten Son for a sacrifice, so that whoever believes and trusts in Him as the promised Savior will not perish, but have eternal life. For GOD did not send His Son into the world to condemn the world, but that the world might be saved through and because of Him. Whoever believes and has decided to trust in Him as Savior is not judged, not rejected, and not condemned; but the one who does not believe has chosen to reject Him as Savior and is judged and sentenced because he has not believed in the name of the One and only begotten Son of GOD who is truly unique, the One who alone can save him. This is the judgment – that is, the cause for indictment, the test by which people are judged, and the basis for the sentence – the Light has come into the world, and people loved the darkness rather than the Light, for their deeds were evil. For every wrongdoer hates the Light, and does not come to the Light but shrinks from it for fear that his sinful and worthless activities will be exposed and condemned. But whoever practices truth and does what is morally, ethically, and spiritually right, comes to the Light, so that his works may be plainly shown to be what they are – divinely prompted, accomplished with GOD’s help, in dependence on Him.' "
I will continue to pray, share what I learn, and share scriptures online because I believe it is paramount to what I think and live. Lucifer is the enemy of every human being on the face of the earth. His sole goal in life is to deceive us, confuse us, and ruin any knowledge of GOD and Our Savior Jesus the Christ. He won’t do it with grandiose deceptions. He will only need to get us off in ONE area. 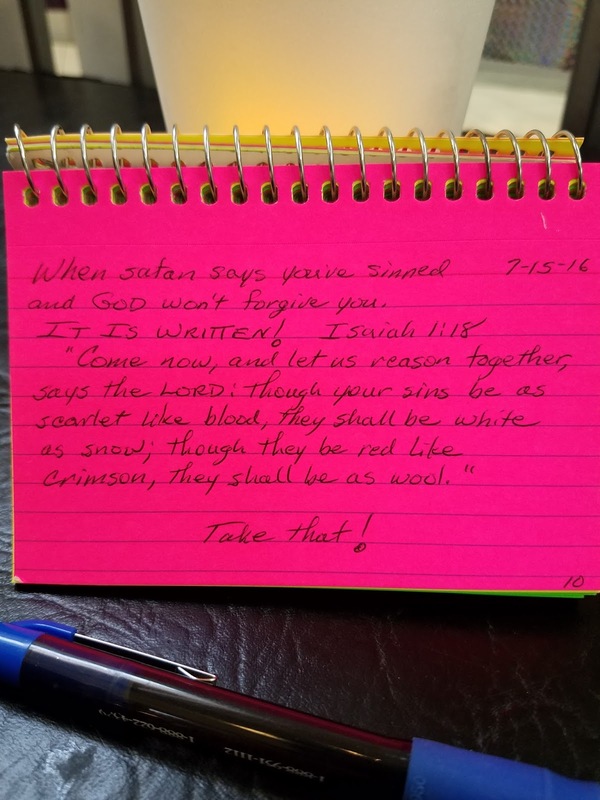 Sin is “missing the mark”. If the arrow misses the bull’s-eye, you’ve missed it altogether. 1.) Believe that Jesus is the only Son of GOD. 2.) Believe that He came to show GOD’s extreme love for all mankind and build a relationship with Him through Bible study and prayer. 3.) Do what He says. Accept, believe, worship, and obey the Son of GOD!!!! This is the will and the commandment of the Father! How many of you actually met the President in person? Do you believe he exists? Why? You read about him in the newspapers. You see his image on the TV. You hear peoples’ testimonies about him. So you believe he exists. So you call me silly. Just a minute. Do you believe in Jesus? Why not? You can read all about Him in the Bible. Not only do you read His testimony about Himself but other peoples’ testimony about Him as well. There are even Roman documents about Him. The President only wants your money, he could care less about your eternal soul much less invite you to the White House to live with him. Do you go to the doctor? You have faith in his ability as a healer and you have faith in medicine. You may even pray that GOD gives him wisdom in treating you and give strength to the medicine. Do you see the error here? You put that faith in that earthly industry ahead of faith in the GOD who is the Creator of the Universe and your body, the Supreme and only Wise GOD. Way off the bulls-eye. But that is how subtle Lucifer is. The government has made it mandatory now to have medical insurance and follow all the instructions given to you whether there is a natural treatment or not plus all the preventive procedures whether you agree with them or not. Did you know that they have to have a medical registry and to maintain financial records on each person and to manage each persons records they are required to use implants, micro-chips imbedded in your body? If you don’t believe me just download the document and read it for yourself. It’s called a Class II medical implant. Whoa! Could this be a part of the mark of the beast? You already are heavily fined (taxed) if you do not comply. Can they restrict your ability to buy (your own vitamins?) and sell (your own home-frown herbs?)? Political correctness in word and thought is already here. Soon religious restriction will take place. Just saying. Lucifer will try to deceive us with bald-faced lies, half-truths, false logic, intimidation, and (pay attention to this) counterfeit every miracle of GOD that he can get away with. He will be charismatic, good-looking (he could change himself into an angel of light! ), be politically powerful, and rich (have very powerful backers). He will make himself look like the savior of the world. He will also make some kind of grand appearance to appear like Jesus. There is a problem folks. The end times are upon us. The great deception or delusion is coming. What are you doing to protect your spirit? YOU HAVE TO READ THE BIBLE! You have to get GOD’s Word into your mind and thereby your spirit. The answers to all your questions are in there. To our shame there are over 40,000+ Christian denominations today, and growing. News flash: they can’t all be on the mark! If they were there would be ONE CHURCH, the way Jesus wanted it.